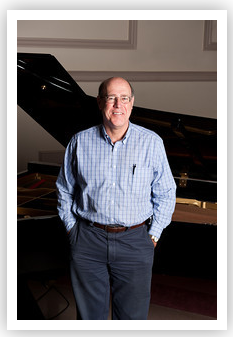 I have over thirty-five years experience tuning and repairing all major brands of pianos. I began my career tuning, repairing, and rebuilding pianos for local piano technicians. I have worked on numerous brands of pianos in all venues, including homes, studios, concert halls, schools, and churches. I was trained by several local piano service experts. My instruction included piano tuning, repair, action regulation, and rebuilding. As a result of this comprehensive training, I am usually able to find the most efficient and cost-effective way to bring out the best performance in your instrument. I am certified by the Piano Technicians Guild as a Registered Piano Technician. This certification can be earned only after extensive testing to determine competence in numerous aspects of piano service. Fewer than 2,500 piano technicians in the world have earned this certification.